The southern half of Utah is a smorgasbord of natural wonders and geological formations, with five national parks in the area alone. Elsewhere in the region though, there are other, less well-known parks and reserves that still offer a chance to explore unique environments and escape into the wilderness. Once a menacing challenge for trailblazers, this trail is now the most scenic drive in Utah. 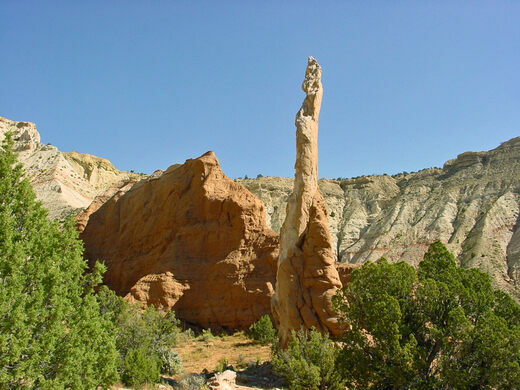 One such example is Kodachrome Basin State Park. Situated between Bryce Canyon and Capitol Reef National Parks, it’s relatively easy to reach, but far enough off the main road that many travelers may miss it. The highlight amid the beautiful landscape the dozens of unique spires of sandstone that fill the park. 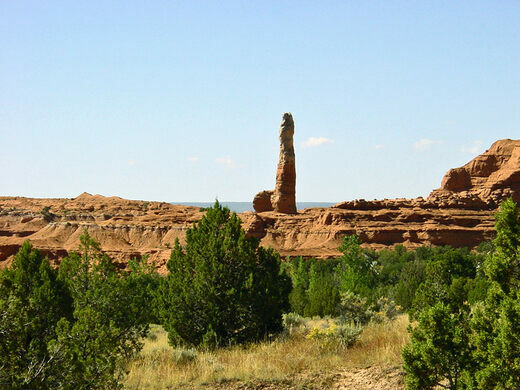 Unlike the hoodoos of Bryce or the cliffs in Capitol Reef, these sedimentary monoliths are each individual chunks of rock, left standing like sentinels by the action of the wind. There are 67 spires spread around the park, and visitors can walk around and among them, as well as into the deep gullies scoured out by millennia of erosion. The hills surrounding the park are steep enough that vegetation cannot cling to them, leaving the vibrant colors of the sedimentary rock underneath exposed. These shades are so intense and varied, they are what gave the park its name. In 1948 a National Geographic Society expedition applied for special permission from the Kodak company to use the name of their film to celebrate the beauty of the park. Walking around the neatly marked trails, hikers are able to enjoy quiet isolation from the bustling crowds, taking in views of the delicate interplay of the plant life barely clinging to the thin soil and sheer rock. A 4x4 trail leads to Grosvenor Arch, a sandstone arch comparable with those seen in the more famous Arches National Park. The remoteness of the park also presents the opportunity to camp under some of the darkest skies imaginable. The high altitude, clear desert air and lack of light pollution combine to give incredible views of the night sky. Campers prepared to brave a cold desert morning can take in the sunrise over the desert plains, a view that cannot have changed significantly in the thousands of years humans have lived in the area. 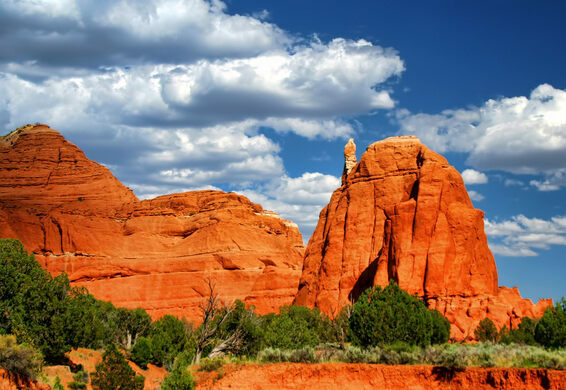 Kodachrome Basin State Park can be found by following signs from Cannonville, Utah, along a 9 quiet 9-mile road. Camping is available for vehicles and tents.